In addition to deep learning, TensorFlow provides a high-level machine leaning api: TF Learn, which makes it easy to configure, train and evaluate machine learning models. TF Learn is a simplified interface for TensorFlow, to get people started on predictive analytics and data mining. The API covers a variety of needs: from linear models to Deep Learning applications like text and image understanding. 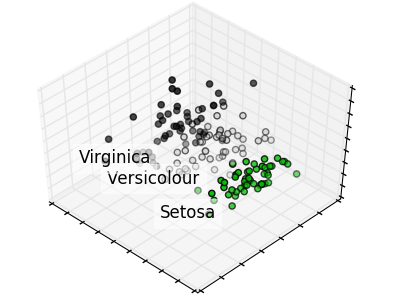 To smooth the transition from the scikit-learn world of one-liner machine learning into the more open world of building different shapes of ML models. You can start by using fit/predict and slide into TensorFlow APIs as you are getting comfortable. To provide a set of reference models that will be easy to integrate with existing code. The Iris flower data set or Fisher’s Iris data set is a multivariate data set introduced by Ronald Fisher in his 1936 paper The use of multiple measurements in taxonomic problems as an example of linear discriminant analysis. 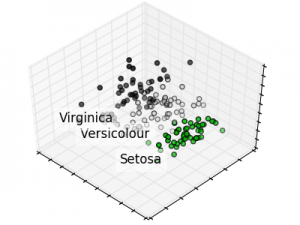 It is sometimes called Anderson’s Iris data set because Edgar Anderson collected the data to quantify the morphologic variation of Iris flowers of three related species. Two of the three species were collected in the Gaspé Peninsula “all from the same pasture, and picked on the same day and measured at the same time by the same person with the same apparatus”.